While it runs on the same ladder-type frame as before, the bakkie's front end now features Mitsubishi's so-called "Dynamic Shield" design, a visage similar to the one worn by Mitsubishi's latest SUVs, such as the Pajero Sport and Eclipse Cross. 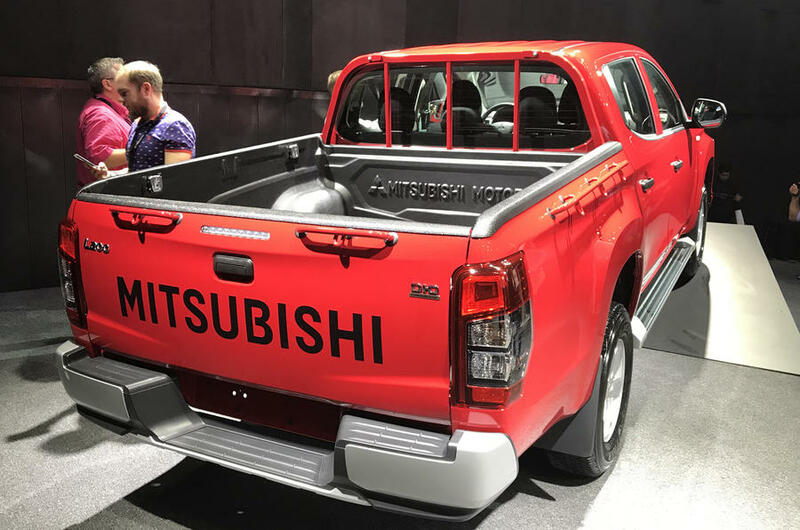 The new Mitsubishi L200 goes on sale in Thailand (as the Mitsubishi Triton) this month, and is expected in the United Kingdom by the middle of 2019. expect prices to nudge up a bit. Inside, the restyled cabin provides a modern and robust feeling. Further, the new Mitsubishi L200 4WD models are fitted with an option between Super-Select 4WD, which delivers optimum traction and handling characteristics for any given surface, or Easy-Select 4WD, which simplifies switching between drive modes for different road surfaces. Both of these use a new off-road mode which has Gravel, Mud/Snow, Sand and Rock settings. Included Off-road mode simultaneously adjusts engine power, transmission and brakes to prevent wheel spin. Naturally, there's hill-descent control in the mix. There's also Blind Spot Warning, Rear Cross Traffic Alert, and, the feature with the coolest name, Ultrasonic Misacceleration Mitigation System. The updated bakkie will launch first in Thailand, before being rolled out to some 150 other markets (including South Africa, although timing has yet to be established).